Bob Lancer has been leading organizations and individuals from all walks of life into a profoundly positive attitude shift through his inspirational speaking, writing, and consulting for over three decades. One of the key shifts his work brings is transitioning from aggression to compassion to access and express higher power, fulfillment and service. His bestselling books include, Lighten Up: Harness The Power of Happiness To Create the Life You Want and Parenting With Love, Without Anger Or Stress. 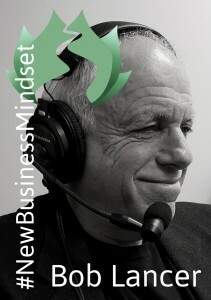 For 15 years he hosted his own inspirational talk radio show on WSB AM and FM Radio. Develop the courage not to live with the same thought patterns.